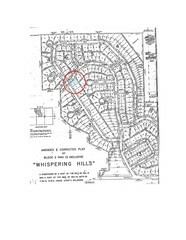 Unimproved Corner Lot in Whispering Hills near Sand Springs, OK. Close to Lake Keystone! Offered by the Oklahoma Department of Human Services, Guardian of J. Pohl, a vulnerable adult. 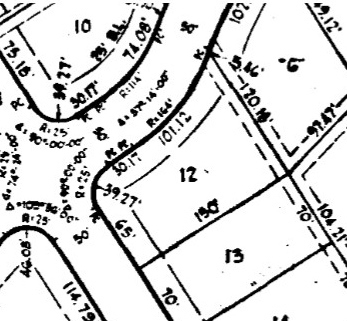 Legal Description: Lot 12, Block 7 of the Amended and Corrected Plat of Block 3 thru 13, Whispering Hills, a subdivision in Osage County, Oklahoma. Terms: $2,000 earnest money deposit, or full purchase price, required day of auction. Final bid subject to confirmation in District Court of Tulsa County as part of guardianship proceedings. Anstract certified to 1994 will be available; Purchaser should satisfy himself as to status of title prior to bidding. Guardian’s Deed without warranty and documents required for real estate conveyance from the Tulsa County guardianship case will be provided by Seller within 15 days of court confirmation. Unimproved corner lot offered by Oklahoma Department of Human Services, Guardian of J. Pohl, a vulnerable adult. 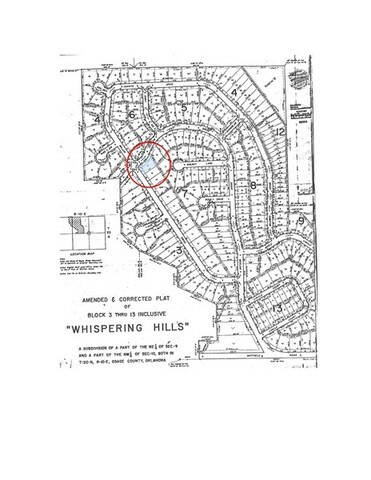 Legal Description: Lot 12, Block 7, Whispering Hills Addition to the City of Sand Springs, Osage County. Terms: $2,000 earnest money deposit, or full purchase price, required day of auction. Final bid subject to confirmation in District Court of Tulsa County as part of guardianship proceedings. Seller will not provide an abstract of title; Purchaser should satisfy himself as to status of title prior to bidding. Guardian’s Deed without warranty and documents required for real estate conveyance from the Tulsa County guardianship case will be provided by Seller within 15 days of court confirmation. 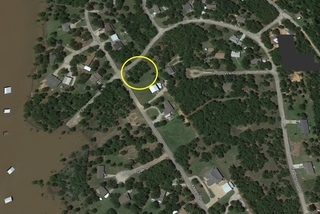 Approximately 5.5 miles north of Highway 412 on Prue Road (209th West Avenue) to Whispering Hills, then west. Take Dotson Drive all the way around to property.